Trio from NJ playing heavy rock in the vein of The Police, Metallica and Weezer. Recorded in Boston by Nick Zampiello (Cave In, Isis, Piebald). 100% Rock. Ex-member of TRAIN OF THOUGHT. Formulate a Tragedy is further proof that you really can't judge a book (or CD) by its cover. 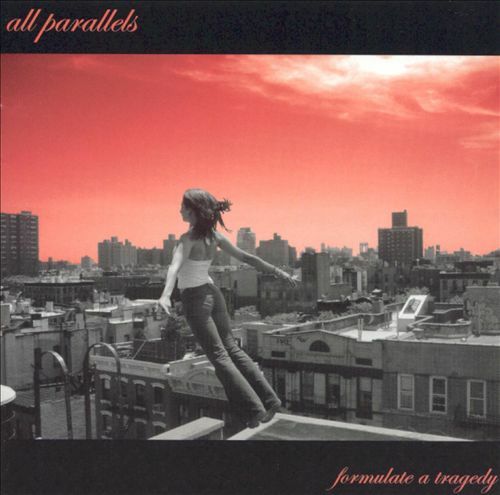 The red-skied cityscape depicted on this album's cover doesn't suggest much beyond some sort of generic modern alternative rock or glossy emo recording (and having the word "tragedy" in the title reinforces suspicions that it's going to be the latter). True, this is "modern rock" in the sense that its roots don't really go back any further than the early '90s: Weezer, Quicksand, and Helmet are all mentioned in the press sheet as reference points, and those give you a decent idea what to expect. 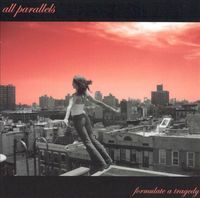 Even if that doesn't sound like the most appealing combination, this album is worth a serious listen because All Parallels have written some smart, catchy, and also fairly heavy songs here with strong vocals (i.e., no fey indie rock singing or emo whining) and equally solid musicianship. The songs don't stray from the basic distorted guitar-bass-drums-vocals template, but the trio keeps things interesting and varied despite the limited sonic palette. Opening track "Work" features an unusual winding chorus that takes about three confusing left turns in a row -- all in the service of some surprisingly basic love song lyrics. Meanwhile, "Such Fragile Things" shows off bassist/vocalist Larry Chiswick's falsetto, which he could certainly use more often; minor-key rocker "Damaged Goods" throws in some unexpected cowbell; and "World We Be Living In" plays up the metal angle that's merely suggested in most of their other songs. All in all, this is an excellent modern power pop album that may surprise folks who considered this genre left for dead in the wake of emo's rise and Weezer's post-Pinkerton fade into mediocrity.